← Calling All Alumnae and Alumni! 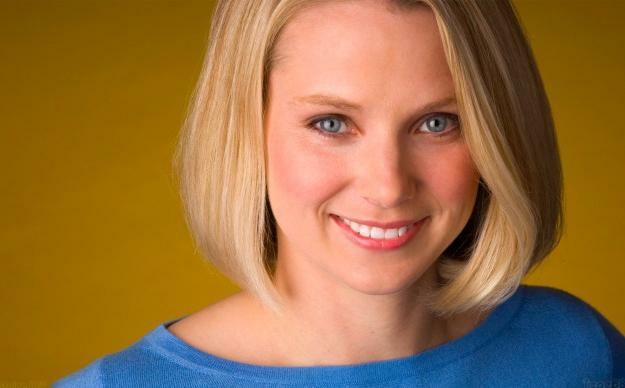 Marissa Mayer, former VP of Search Products and User Experience for Google, was named Yahoo’s new CEO on Monday. Mayer was Google’s first female employee and joins a very small number of female CEO’s in public technology companies. She is Yahoo’s fifth CEO in five years and will be revamping a “massive turnaround effort” in order to save the once booming company from dwindling financial success and internal struggle. A day after her appointment at Yahoo, Mayer announced that she is pregnant. As columnist Joan Walsh points out, Mayer is a high profile woman at an interesting time in America’s “Can Women Have it All?” debate. Anne Marie Slaughter’s July piece for the Atlantic, “Why Women Still Can’t Have it All,” propelled the work/life balance debate into the national spotlight. The conversation is one that happens here at the University of Rochester, particularly in SBAI’s “Failure is Impossible” mentoring seminars (credit willie). One of our first luncheons, “Work/Life Balance for STEM Women,” was one of the most popular, and the conversations kept going long after the seminar ended. The question we try to ask during the conversations isn’t the self-doubtful “can we?” but “how?” or “in what ways?” and there may never be an approach that works for every woman. Is “can women have it all?” even the right question to ask? Regardless of “having it all” or not, Mayer has already faced an onslaught of opinions and talk from news outlets, bloggers, and more on what she is capable of doing and how she should do it. It also has renewed conversations about maternity leave, making choices as a parent, and the way we talk family responsibilities. In the end, the only person who can make that call is Mayer herself, and we wish her congratulations and best wishes in all her successes, endeavors, and work. Perhaps she can draw from Susan B. Anthony’s strength in the face of adversity, particularly with the onslaught of negative and doubtful discourse that is being molded by her critics. This entry was posted in National News and tagged #Failure is Impossible, #maternity, #motherhood, #STEM Women, #work/life balance. Bookmark the permalink. I think Mayer is an inspiration to a lot of women right now. She surely is to me, anyway. Even just making such an announcement (that she is pregnant) one day after accepting the role of Yahoo! CEO takes a lot of courage. And to me, that’s a shame. It shouldn’t. But the more people like Mayer push themselves into these roles, and the more examples society has of powerful/driven/executive women, the more accepting it will be. I am so fed up with the belief that it always has to be either or, and that a professional woman is always neglectful of her home life and family.